Todays 50% Discount Friday item is the Sir Standsalot knight in shining armor. 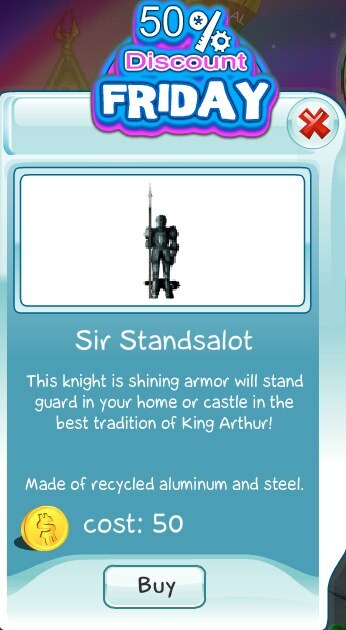 This metal monstrosity will stand guard ready to defend your home or castle. This offer is valid today only, so act quickly.